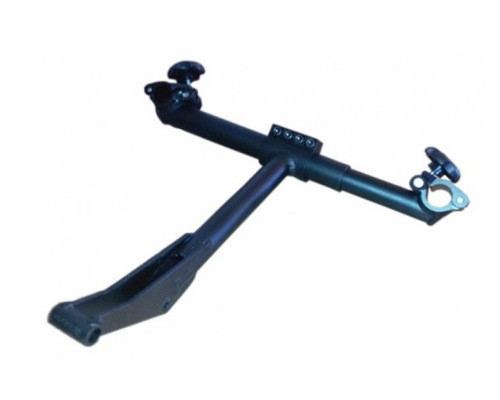 The FreeWheel allows you to easily and safely traverse any rough terrain. Whether it’s the urban jungle that is NYC, going to your child’s soccer game, or participating in a triathlon, a FreeWheel is the answer. Easier Pushing – The FreeWheel’s longer wheelbase makes it easier to push yourself or be pushed. 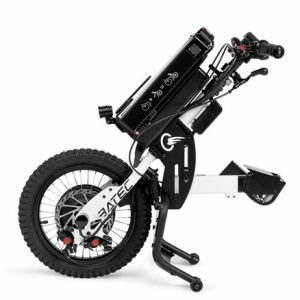 No more need to constantly be popping wheelies. Shoulders, elbows and wrists experience less strainwhen using the FreeWheel. 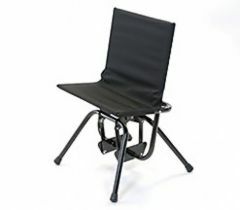 Safer – With the front casters lifted there is less risk of having the person in the chair fall when the casters catch on bumps in the sidewalk, stones or gravel in the road, or crossing a grassy field. in front of them to make sure they don’t hit anything that will cause them to fall out of the chair. 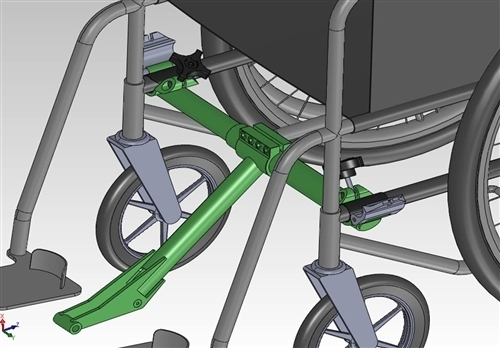 With the FreeWheel, wheelchair users can comfortably look at the world around them and converse with friends and family. 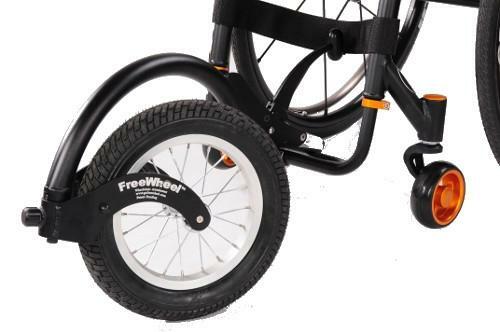 Stay Active/Stay Healthy – With the Freewheel expanding where a person can go in their wheelchair, they will be more active and thus healthier. 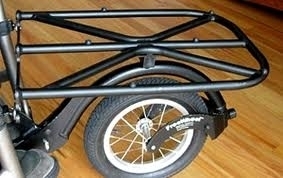 The Folding Adapter for the FreeWheel and Carry All-Rack are sold separately. 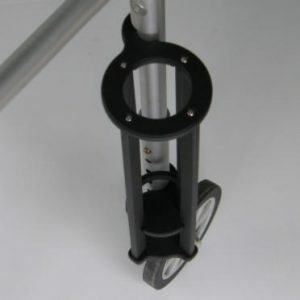 If you require the adapter or would like to purchase the Carry All-Rack please give us a call and speak with our Manual Wheelchair Mobility Department.